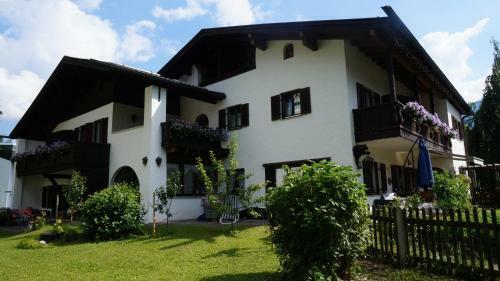 Bed and Breakfast Gästehaus Brigitte in Garmisch-partenkirchen is a B&B with 9 Rooms. 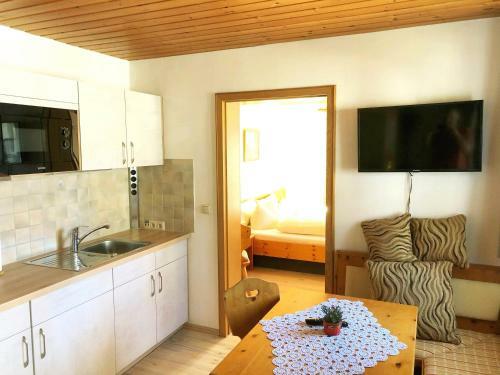 The family-run Gästehaus Brigitte offers comfortable accommodation in the centre of Bavarian mountain resort Garmisch-Partenkirchen. Free WiFi internet access is available throughout. 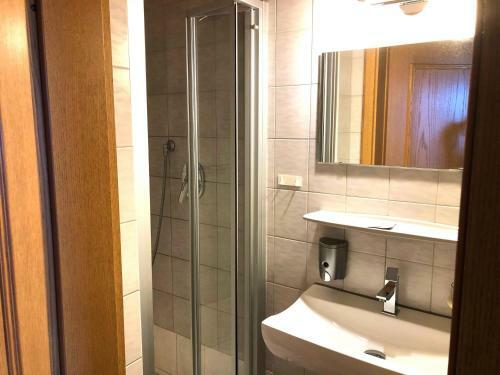 All rooms at Gästehaus Brigitte include cable TV and a private bathroom with a hairdryer. There are also apartments available which have a separate bedroom and a fully equipped kitchen with a coffee machine. The south-facing balcony overlooks St-Martin street and has a view of the mountains. The Bavarian countrysid...e is ideal for hiking, cycling, and skiing, and the guest house offers storage space for skis. It is 5 km to the Zugspitze Mountain, the highest in Germany, and 20 km to the Austrian border. 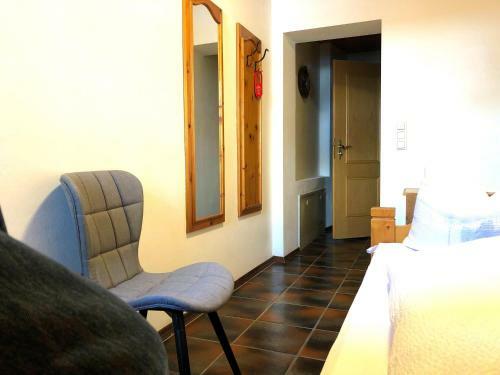 A continental breakfast is served in the breakfast room each morning, and within a 2-minute walk of the guest house there are several restaurants specialising in German and international cuisine. Gästehaus Brigitte is 800 metres from Garmisch-Partenkirchen Train Station, and a 15-minute drive from the A95 which connects to Munich. 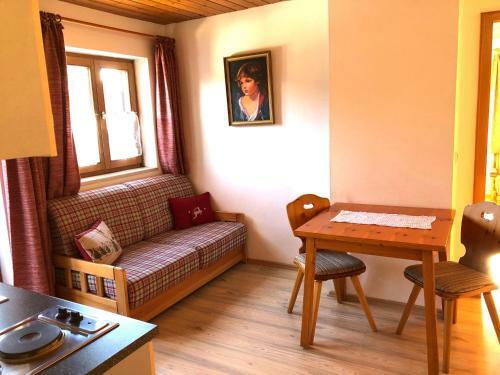 The family-run Gästehaus Brigitte offers comfortable accommodation in the centre of Bavarian mountain resort Garmisch-Partenkirchen. Free WiFi interne...t access is available throughout. 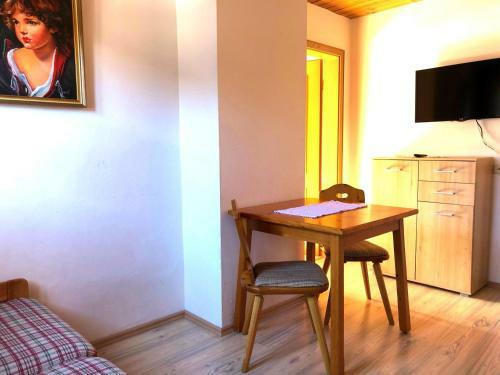 All rooms at Gästehaus Brigitte include cable TV and a private bathroom with a hairdryer. 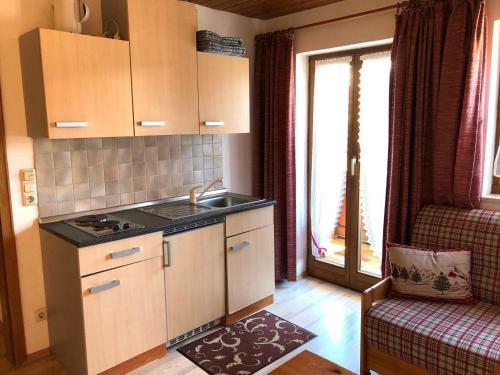 There are also apartments available which have a separate bedroom and a fully equipped kitchen with a coffee machine. The south-facing balcony overlooks St-Martin street and has a view of the mountains. 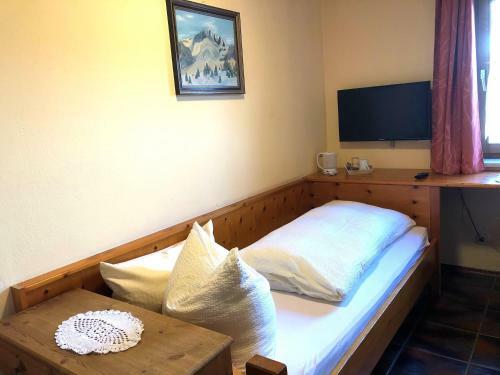 The Bavarian countryside is ideal for hiking, cycling, and skiing, and the guest house offers storage space for skis. It is 5 km to the Zugspitze Mountain, the highest in Germany, and 20 km to the Austrian border. A continental breakfast is served in the breakfast room each morning, and within a 2-minute walk of the guest house there are several restaurants specialising in German and international cuisine. Gästehaus Brigitte is 800 metres from Garmisch-Partenkirchen Train Station, and a 15-minute drive from the A95 which connects to Munich. When would you like to stay at Gästehaus Brigitte? Accepted credit cardsAmerican Express, Visa, Euro/Mastercard, Maestro, EC-Card. The Bed and Breakfast reserves the right to pre-authorise credit cards prior to arrival. This property will not accommodate hen, stag or similar parties. A damage deposit of EUR 50 is required on arrival. This will be collected as a cash payment. You should be reimbursed on check-out. Your deposit will be refunded in full in cash, subject to an inspection of the property. Business travellers wanting a city tax refund must organise this with the local authorities. There is free parking on the street if the property's car parks are overly full. This B&B is family run and has no 24h reception. Please do respect check-in/check-out times. Please note that an arrival after 19:00 might be possible upon request for a surcharge of EUR 20. Please note that this request needs to be confirmed in advance by this accommodation. Guests are required to show a photo identification.